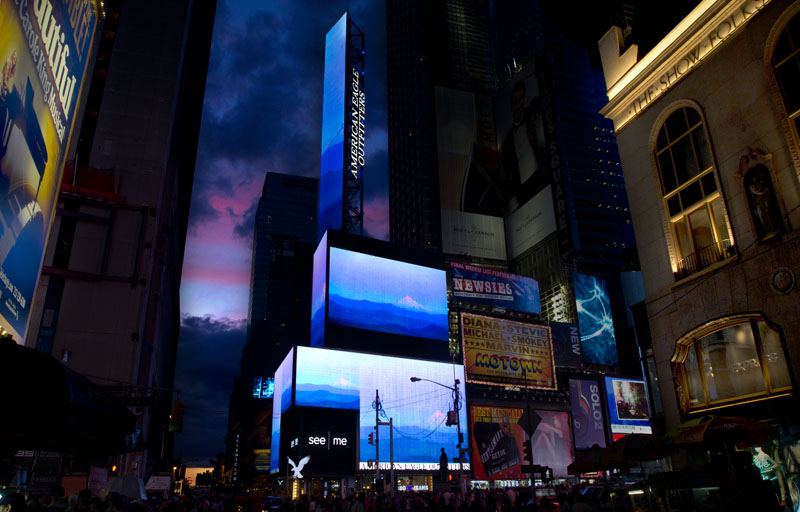 To celebrate the completion of See.me's Takeover project, thousands of artists participated in a one-night takeover of the American Eagle tower in Times Square. 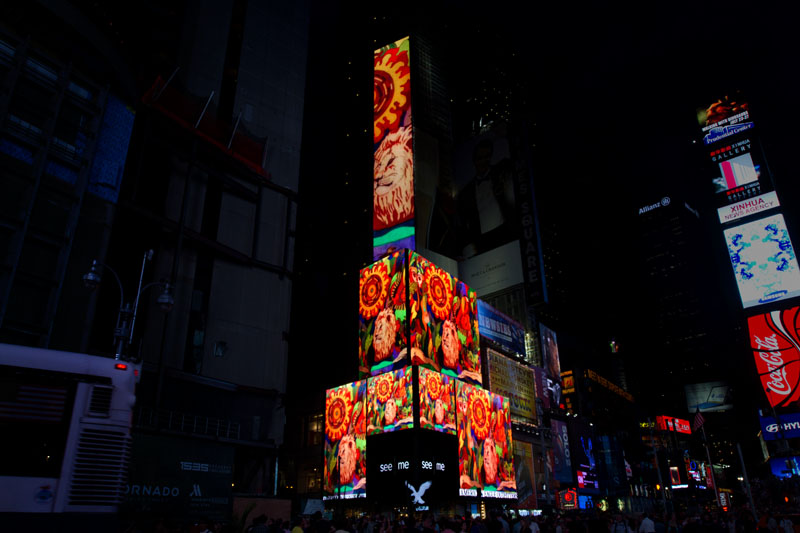 For one night, artists had a chance to view their artwork on the large-scale LED billboards, which are typically dominated by corporate media. 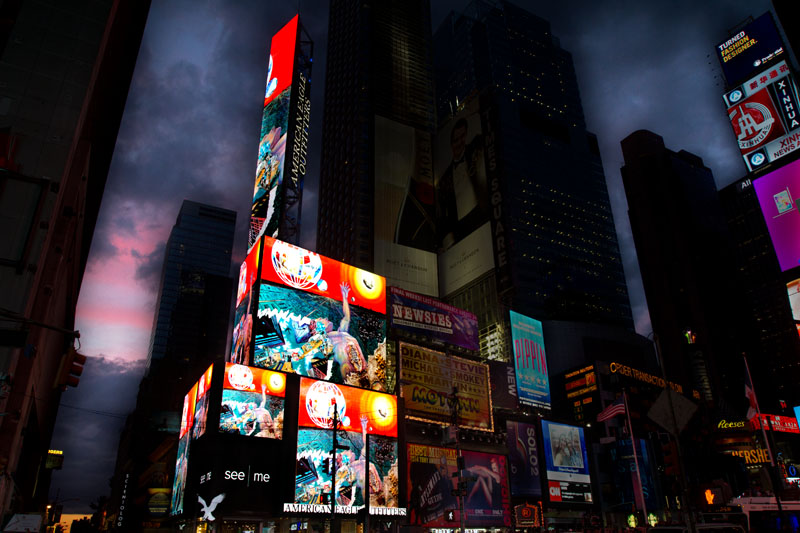 Over fifteen thousand images were analyzed, using custom image processing software. The image data was then used to arrange the images programmatically according to matching color pallettes. 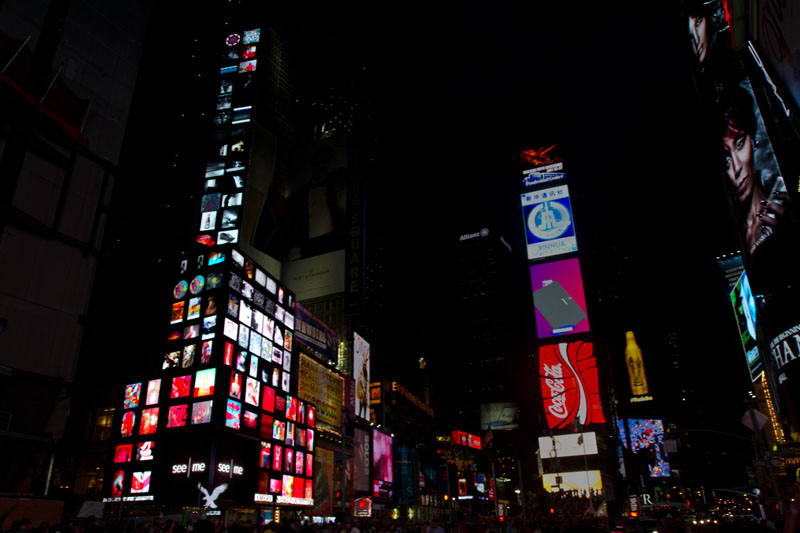 The resulting mosaic was then procedurally generated using custom code to populate the billboard dynamically. 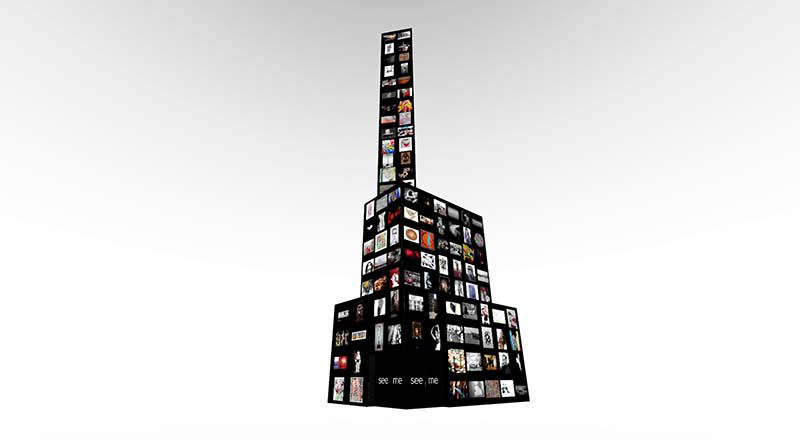 During the production phase, we created a Previz tool which allowed designers to test and visualize ideas in a dimensionally accurate 3D environment. This allowed the design team to view the work from any angle, and see exactly what the final output would look like. 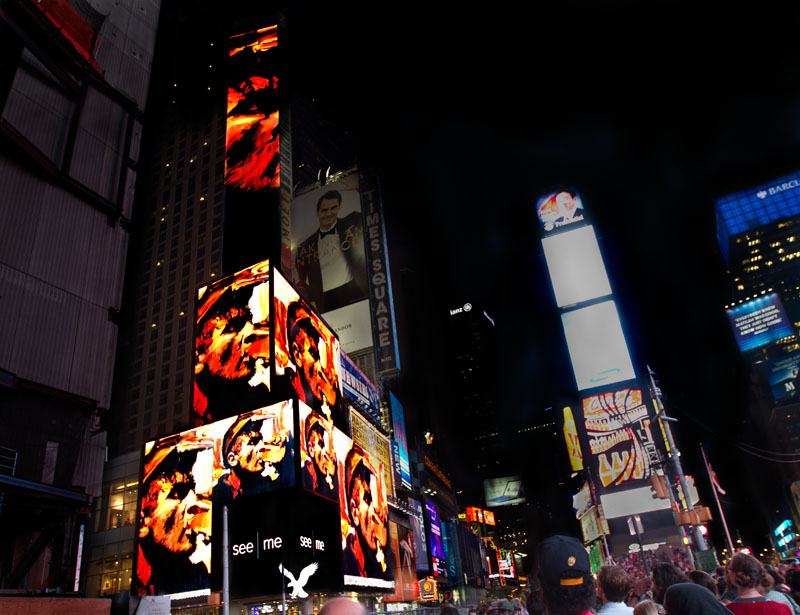 For See.me's "Times Square Takeover,"
we created a 1 hour presentation with over 10,000 user submitted images. 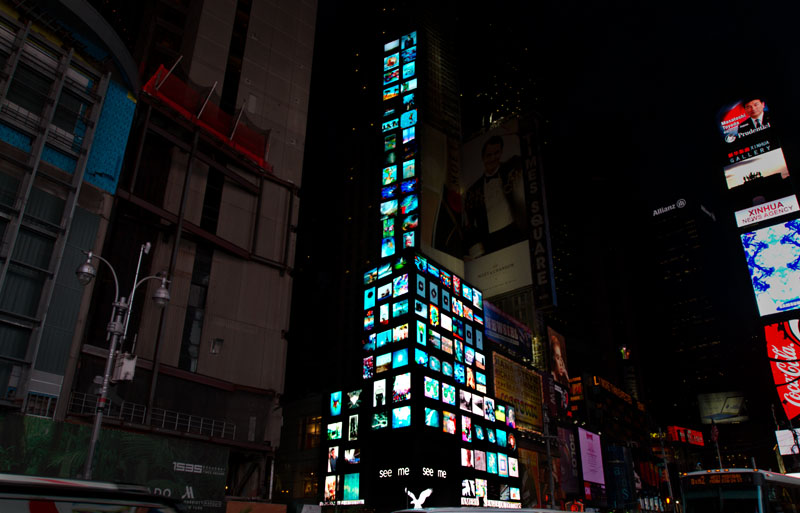 and arrange them by color, to create a "mosaic" across the tower. using a randomized pattern for transitioning between images.